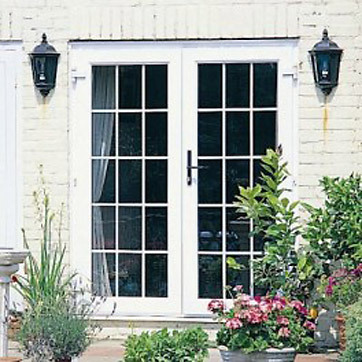 VARCO French doors make an elegant statement like nothing else. Express personality by creating a simple yet striking entry. All door styles are available as a French door. Available with full wood frame hinged on each end with door knobs in the center. Available with either left or right door active. Available as in-swing or out-swing. Header security plate standard on full wood frame.